Mobile data has traditionally been rather expensive in network. Australia so we’re in the habit of jumping onto free Wi-Fi networks wherever we find them—from cafes and shopping centres to sporting stadiums and airport lounges. These days mobile data costs have fallen and monthly download allowances are more generous, yet we still tend to use free public Wi-Fi when we’re out and about. The trouble with using public Wi-Fi is that you don’t know who controls the network and whether they’re trying to eavesdrop on your online activities. In somewhere like an airport lounge, who is to say that the nearby “Public_WiFi” network isn’t really being generated by someone sitting at the next table, hoping that you’ll assume it’s a legitimate network? Even if you are connecting to a legitimate Wi-Fi network in somewhere like a cafe, can you be sure that the network hasn’t been infiltrated by someone who is up to no good? The cafe owner might make a great latte, but what are their credentials when it comes to wireless network security? Would they even know if someone was lurking on the network, watching for passwords and other sensitive information? If you can’t vouch for the integrity of a Wi-Fi network then it’s best to engage a virtual private network (VPN) to cloak your activities. A VPN creates an encrypted tunnel between your device—your computer, smartphone or tablet—and the VPN server. The VPN server then acts as your gateway to the internet. The benefit of this is that no-one else on the Wi-Fi network can monitor what you’re doing online, not even the network operator. They might be able to tell that you’ve created a secure encrypted connection, but they can’t peer inside to see what you’re doing. 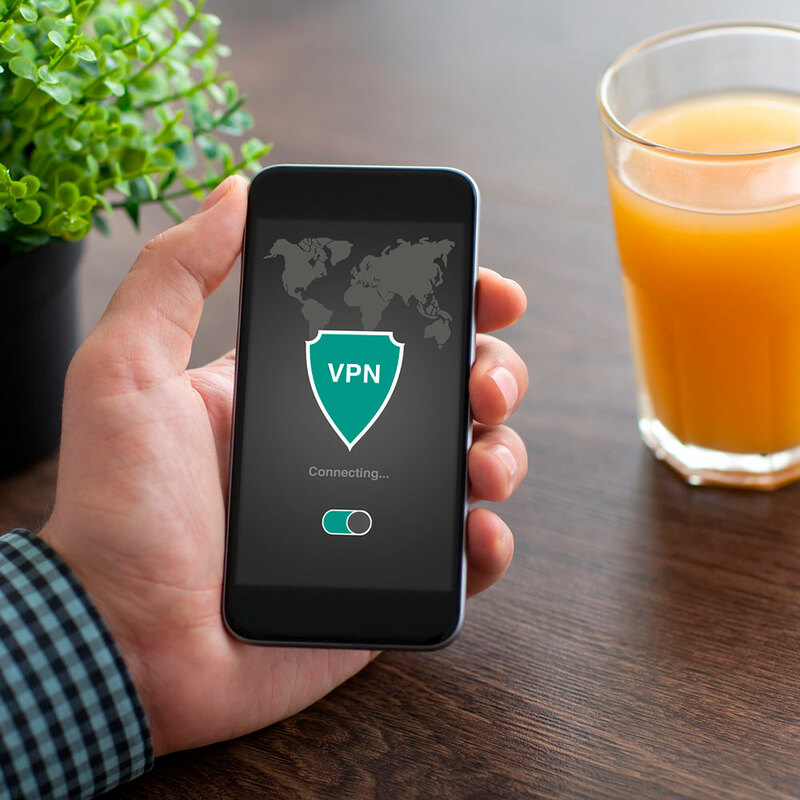 There are plenty of free and paid VPN providers to choose from, although you tend to get what you pay for in terms of speed and security so be wary of using a free service to protect important business data. Alternatively you might run your own VPN server in the office and let remote staff connect directly to that server. One advantage of this is that your people are making a secure connection all the way to the office, rather than just to a third-party VPN server in the cloud. Another advantage is that once connected to the office VPN, your people can access in-house servers and other systems that aren’t accessible across the open internet. As mobile data networks become cheaper and faster there’s less and less reason to use public Wi-Fi hotspots, but if you do, it’s important to take sensible precautions to protect your privacy.